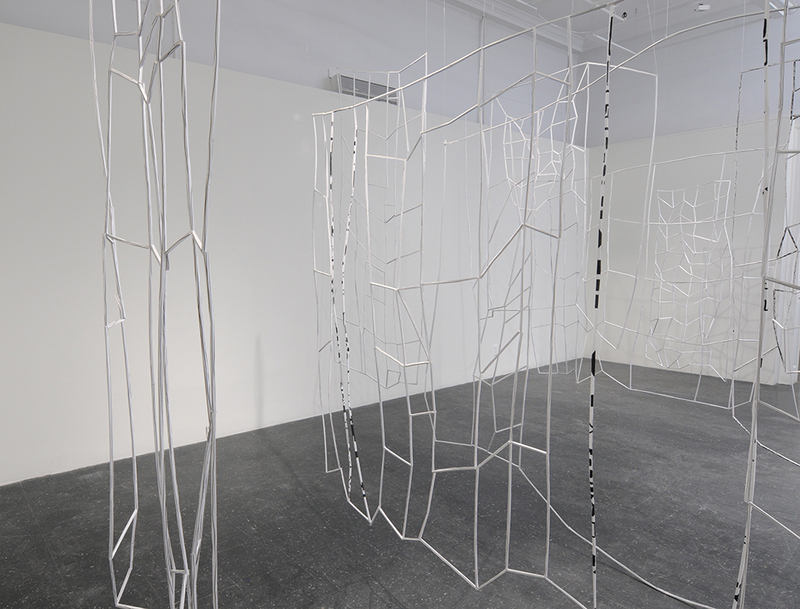 Choreographic Space was shown as part of the MFA thesis exhibition at the Anderson Gallery in Richmond, VA. 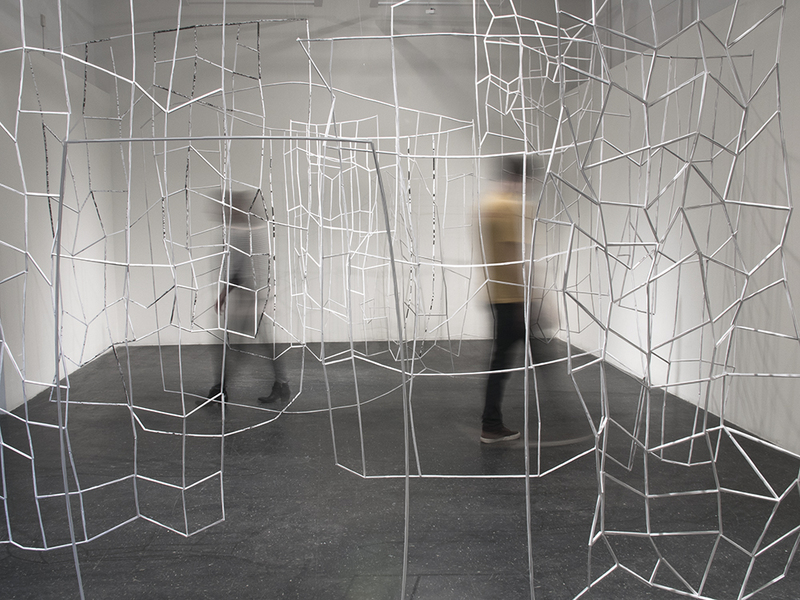 This particular manifestation creates a choreographic space for the viewer that engages movement, drawing and sound. The space consists of drawings created from ink on folded paper – the traditional medium of written language and dance notation. The diagrammatic drawings are translations of corporal movements and architectural floorplans. The viewers can see through and walk through the drawings, which employ an openness that refers back to John Cage’s remarks on silence and emptiness, and necessitate careful bodily negotiation of the space. Each of the 12 drawings was treated as a score and translated into 12 sound pieces, which provides a sonic translation of the visual space through a multi-channel speaker configuration.